I haven’t been updating this blog as much as I thought I would. I’ve been so busy. Friday I met Emily, my friend from Chicago, for breakfast at a little place on the corner. After drinking my large mocha and eating my delicious croissant (free with a large drink), we set out on an adventure. Our first stop on our journey was Starbucks. Emily got an iced latte and I got a passion fruit tea because it was so hot outside. Next, we went to Paperchase. I need to stay away from Paperchase. I purchased a puzzle eraser, a planner, a red phone booth notepad, and a Kindle case (which I am returning because I don’t need it). It’s a store full of notepads, stationery, and organizers. I don’t need to go there alone. I don’t trust myself. We went to Primark. I came out of Primary a changed woman. That’s a beautiful store. I spent a lot of money in there (think of it as English Forever 21), but I have to take some of the stuff back because it didn’t fit me. Then, Emily and I got on the Tube and went to Portobello Market. I got a pair of black pumps for five pounds, a wallet for five pounds, and a bird shirt for ten pounds. That market is awesome. That evening, Emily and I had dinner at Strada, an Italian restaurant, with Emily’s mother. It was delicious. Afterwards, we went to see 39 Steps, which is one of the funniest plays I’ve ever seen. Also, the lead actor was very attractive. 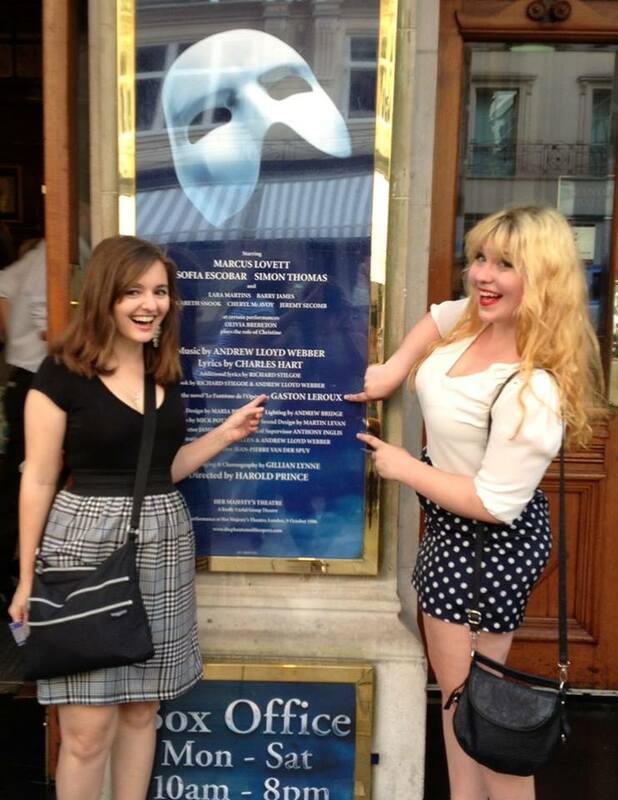 And it was a Hitchcock play, so overall, it was delightful. Yesterday, I woke up unable to breathe out of my nose. My throat was on fire. I had no appetite. I did a load of laundry and then fell back asleep for several hours. I met up with Emily again outside my dorm. We changed clothes and got ready to go out. On the Tube, the Northern Line was out, so we had to take another route to Picadilly Circus. We had dinner at Planet Hollywood before going to see The Phantom of the Opera. 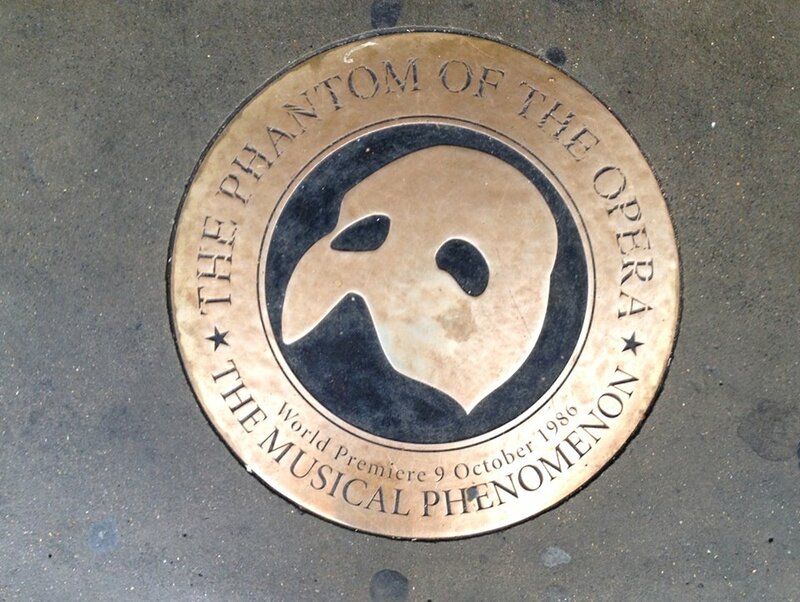 The Phantom of the Opera means the world to both of us. It is the foundation on which our friendship was built. We’ve been trying to see it together for a decade. Last night, that dream came true. It was one of the best nights I’ve had in my life. I can’t believe I only have two more weeks abroad. I want to stay forever. I’m in love with this city.